Location! Location! Location! 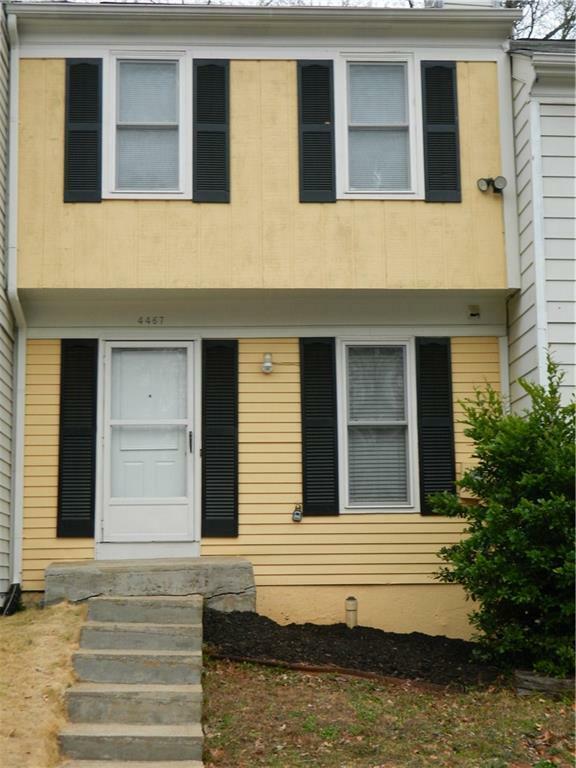 Beautiful Cozy Townhouse In Dunwoody High School Cluster! Largest Floor Plan In Subdivision; New Carpet & New Interior Paint; Beautiful Hardwood Floors On Main ; Tiled Kitchen; Private Fenced Backyard; Double Master Bedrooms Upstairs w/Full Bathrooms; Gourmet Kitchen w/White Appliances; Finished Daylight Basement w/Wood Plank Tile Floors & Full Bathroom Ideal For In-Laws or Teens; Easy Access To Dunwoody/Sandy Springs, Brookhaven & Buckhead; Walk To Marta Bus Line; Minutes To I-285 & I-85, Walmart, Downtown Chamblee & Farmers Market. Directions: I-285 Exit Peachtree Industrial Blvd, North. Take Second Exit Onto Winters Chapel Road. Turn Right Onto Winters Chapel Road, Turn Left Into Subdivision On Aspen Woods Entry. Take First Left Onto Aspen Woods Court. Townhouse Is On The Right.